Sometimes taking a drive without any destination in mind leads us to where we are meant to be. On my recent stop-over in Kanab, Utah, I just got in the car and drove. Meanwhile, Charlotte my motorhome was safely parked at the Hitch-n-Post RV park in town. 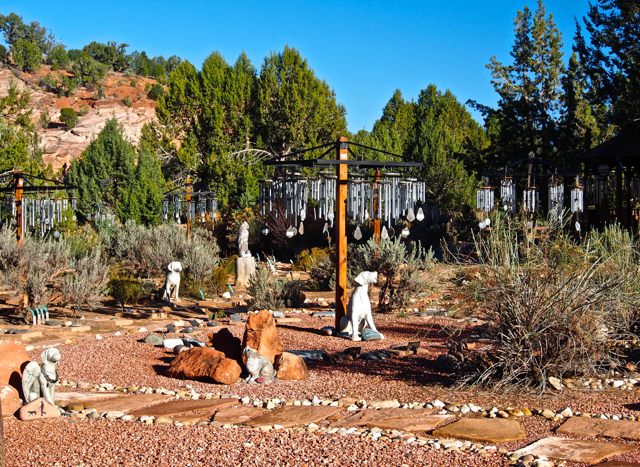 A few miles along a winding mountain road I saw a sign for Angel Canyon and made the turn-off. They take them in at their beautiful ranch, care for them and look for adoptive families. 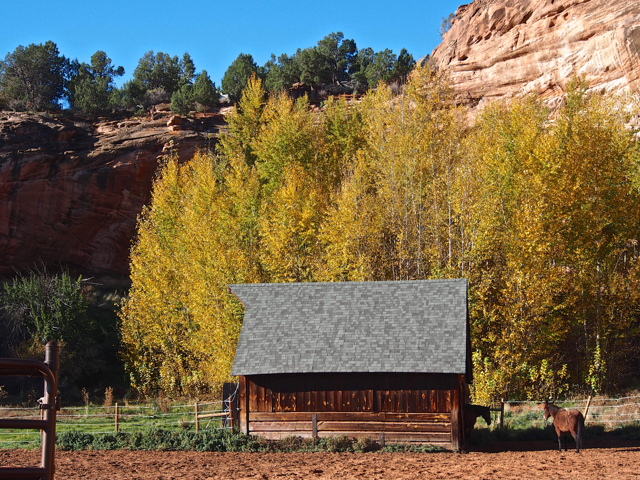 Driving up the canyon, I saw horses in corrals nestled against the canyon walls. 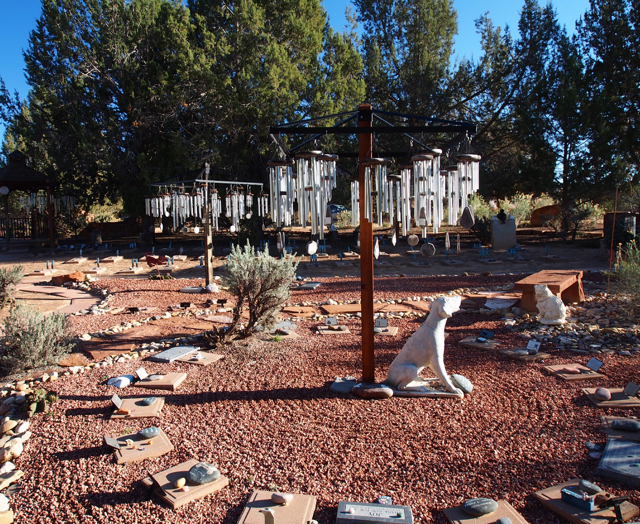 At the top of the canyon was Angels’ Rest, a peaceful garden cemetery for all pets. Walking among the windchimes and statues, I was overwhelmed by all the love that is gathered in this special place. Best Friends is the most amazing place. Wonderful folks. With places to park your RV or to rent a cabin. Thanks for the reminder!